Raken is a cloud-based, mobile, daily reporting platform for Contractors. We enable superintendents, foremen and project managers to create more effective daily reports in less time. "Raken is the common sense solution for the Construction Safety industry"
Raken takes a lot of the safety processes in construction that field managers (superintendents, foreman, etc.) are tasked with and puts them all in one simple place with common sense tools to speed up documentation, reporting and issue tracking on a construction jobsite. The app is a one stop shop for users to input loads of information that used to be inputted one by one in separate software programs, with pen and paper, or forgotten about and never captured at all. Some of the push notifications received on the mobile app are redundant or not applicable to how I use the app. Some of the input fields in the reporting template are not very flexible. Watch all of the tutorial videos on Rakens homepage. Some of them might seem obvious, but you will learn some good tips and some tricks on using the application. Raken helps Superintendents accurately complete their daily reports and share critical information with the project team. 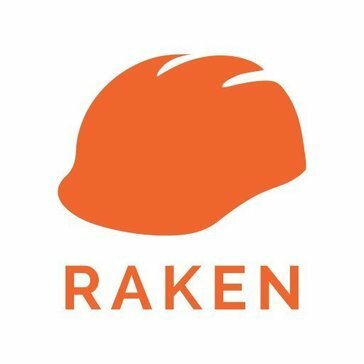 Raken collects and organizes information for record, in case the user ever needed to look back at activities completed on a certain date, weather, safety or project issues identified. Accessibility is great, and it's good for keeping track of everything that everyone in the field is doing (we're at 6 people currently, in 5 states). The app is really straightforward, along with the desktop site. Super minor - I really wish I could view all of the job pics at once. Having to scroll through 50 of them one at a time is a bit annoying. Another note - customer service is great! I've contacted them with questions through chat and they were super helpful, even calling me on the phone to ensure they understood my issues to better help solve them. Jobsite communication! It also removes paperwork for us - if we take a picture of the receipt and upload to Raken, we don't need to hang on to the receipt. 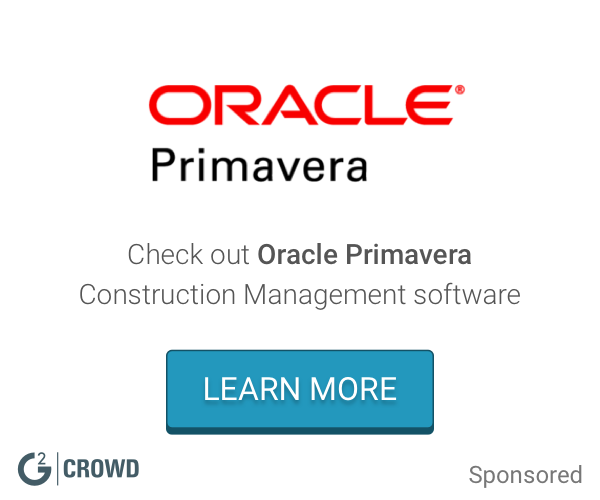 What Construction Management solution do you use? Progress report for the task and it is much convenient to send to owner. I cannot retrieve the attached picture unless I go back to the date I uploaded.. Provide the function to view the pictures without going back to the certain date. BIM 360 gives project teams the tools to coordinate better, communicate more effectively, and resolve issues quickly, resulting in faster and more efficient project delivery. Bluebeam Revu is a PDF creation and markup tool. Touchplan’s award-winning construction collaboration is the only tool your team actually likes. Serving field teams, planners and stakeholders through an accessible-anywhere, web-based system, Touchplan is proven to grow your business through skyrocketing productivity gains. With over 20 years of experience, the spin-off of MOCA Systems is trusted by over 22 billion dollars of construction, 12,000+ users, 800+ global projects, 100+ general contractors and used by twenty-one percent of the ENR top 100. PlanGrid builds simple, powerful software that construction teams love to use. With PlanGrid’s mobile-first technology, any construction team member can manage and update blueprints, specs, photos, RFIs, field reports, punchlists and other information from any device. PlanGrid is used on more than one million projects across commercial, heavy civil and other industries in 90 countries. Oracle's Primavera Enterprise Project Portfolio Management is the most powerful, robust, and easy-to-use solution for globally prioritizing, planning, managing, and executing projects, programs, and portfolios. SKYSITE is a mobile construction and facilities management solution. It is designed to make document distribution, project collaboration, and project revisions, markups, updates, and archiving fast and simple. Bridgit Closeout is a mobile punch list management solution that allows you to receive real-time notifications, with the ability to manage communication and money while maintaining your reputation and make data driven decisions. Corecon develops an online construction software suite for estimating, project management, job cost control, scheduling, and collaboration. Newforma PIM solution an integrated solution for managing forms of project information, at the office, from the cloud, and on the go letting you manage profitability and risk, capture and connect processes, and review documents without printing. It's the easiest way for construction foremen, supers, and engineers to share blueprints, files and RFIs without leaving the jobsite. * We monitor all Raken reviews to prevent fraudulent reviews and keep review quality high. We do not post reviews by company employees or direct competitors. Validated reviews require the user to submit a screenshot of the product containing their user ID, in order to verify a user is an actual user of the product. Hi there! Are you looking to implement a solution like Raken?